Modern Debt Jubilee: That Lack of Growth in the UK is Starting to Tell. That Lack of Growth in the UK is Starting to Tell. 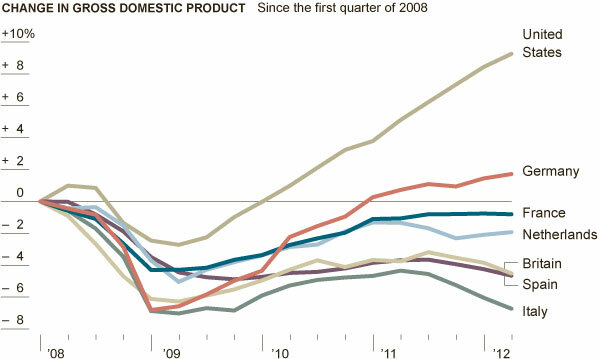 The UK economy is trending more like Spain and Italy than like the USA or Germany. But on the face of it we are in a much better position that Spain or Italy. By the measures that feature in most public discourse: Employment, Public Debt, etc we should be much stronger than Spain. Obviously the austerity needlessly imposed on the UK by an ideologically driven and economically illiterate government have not helped. But actually we were doing badly before the current crop of idiots.